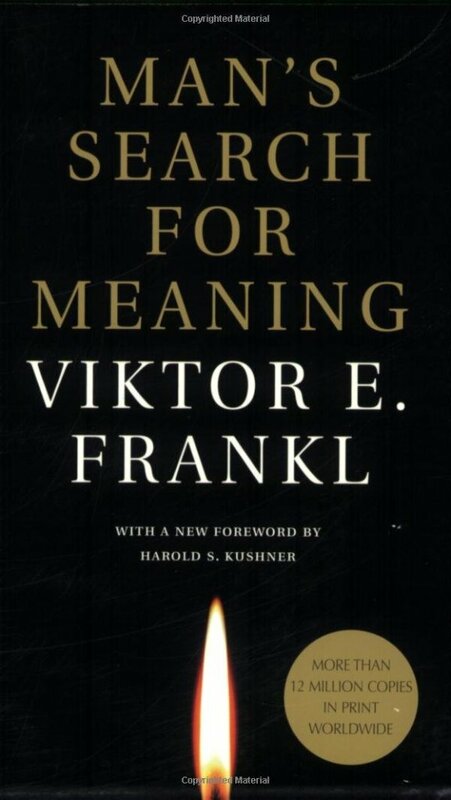 Man’s search for meaning is a foundational work of survival literature. It explains how humans have the need to have meaning in their life (especially in this modern world). This “higher purpose” enables them to push beyond their normal, physical capactities and endure the worst of atrocities. Optimist vs. pessimist = sad and depressed by shrinking days <-> living for the “remarkable” future. Nothing is lost in the past but irrevocably stored. Noögenic neuroses (existential depression) are caused by our current absence of traditions and instinct à state of boredom. Avoid “homeostasis – tensionless state” troughnoödynamics (existential meaning). Live as if you were living for the second time already and you had lives as wrongfully the first time as you are about to live now. Great as always Simon. This is one of my favourite books of all time! When he explains that the last human freedom is to choose ones attitude to any given set of circumstances is one of the most inspiring things i´ve ever read. I´ve noticed that you read a great amount of books, (10 books in a quarter is incredible). How many hours do you putt every day? What´s are your views on speed reading? can one actually comprehend what he reads and how can I get good at it (courses or lessons on it)? It’s also in “The 7 Habits Of Highly Effective People” by Stephen Covey – great book. I read at least an hour a day in normal books. 30 mins before breakfast and 30 mins before I go to bed. Speedreading by Tony Buzan is a great book on the topic. Also: subscribe to kwik learning on youtube, his speedlearning course is good stuff. Also; don’t be afraid to skip certain parts in books, there’s a lot of filler and maybe 3-5 great insights. Example: Millionaire Fastlane has a section how average and poor people manage their money – why not just skip to how rich people do it eh? Hope that helps – might write about it in the future. Wow I am quite astonsihed by the ammount of books you read with at least one hour a day. that book is on my reading list and I will definitely read it. By the way I am putting in practice your advice regarding motivational videos and songs and I am doing great so far. Never thought I would be fine without them. A post about that would be great and maybe also something about how to harness a well defined power of decision. I am currently reading Think and Grow Rich and think that is is a very damaging weaknesses most people have. I am lately sending some of your posts to friends and their feedback is absolutely awesome. Making choices – in my opinion – is largely dependent on the degree of your focus. If you don’t have a clear direction of where you want to go in your life you can’t really pick a path since both will get you nowhere. I don’t think it’s weak decision power that people lack but rather the absence of a clear, self-defined direction in life. Sweet man, thanks for doing that! I like to now that my work is being appreciated by others and that I’m doing something meaningful here. Yeah It does make sense, when you really know what you want you have no problem going after it! But on the other hand It´s really quite difficult to really know what you want in life and go for it. Most people just go with the flow and the big problem comes when most of the people that surround you go with the flow. I find that reading and comparing yourself to people who have already made it is of great help. Thanks for your great great advice Simon, I read quite a bunch of development blogs and this is one of the best by far! The people around you set the standard for what’s acceptable. Surround yourself with high-achievers in EVERY area of your life. When we strive for excellence in our actions – the world will rise to meet us. Role models are great. Thanks, I’m glad you like my advice man. This kind of feedback is what keeps me going. Wow, I keep hearing people review, recommend or just generally talking about this book. It’s amazing how a book so old can be on the minds of so many people nowadays. This book has been on my reading list for a while, but every time I look it up in the library, it’s checked out. Maybe I need to be more aggressive about getting it. I want to see what all the fuss is about. Haha, definitely an essential piece Steve! How ’bout amazon? – It’s definitely worth buying!